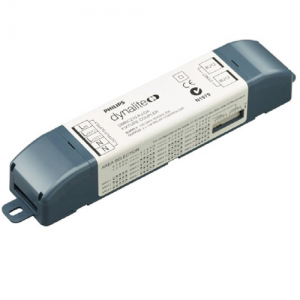 The Philips Dynalite DMRC210 is a two channel device that provides intelligent networked control of individual lighting fixtures. 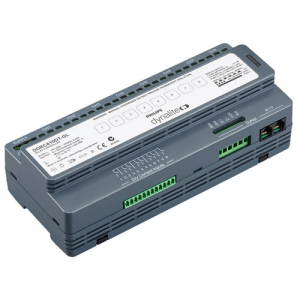 The Philips Dynalite DMRC210 is a two channel device that provides intelligent networked control of individual lighting fixtures. The compact design enables mounting directly within the gear enclosure of many lighting fixtures. 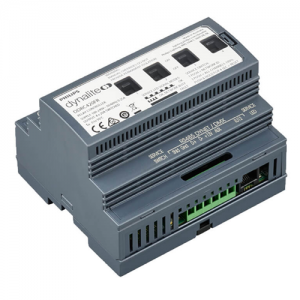 • Incorporates two relay outputs — Used to control mains supply to the fixture and provide an intensity control when used with tapped drivers. • Gear enclosure mounting — Compact design allows the device to be mounted directly within the gear enclosure of many light fittings. 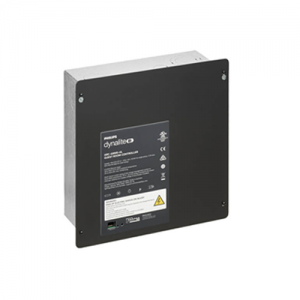 • Fully rated device — Robust relays provide reliable control of difficult lighting loads. • Inbuilt diagnostic functionality — Features Device Online/Offline status indication.